Hello blogland. Some of you may have noticed a peculiar silence here on Clementine. My usual routine of million hour weeks finally caught up to me, and I "hit the wall" so to speak. I'm recovering, just needed some major rest time. 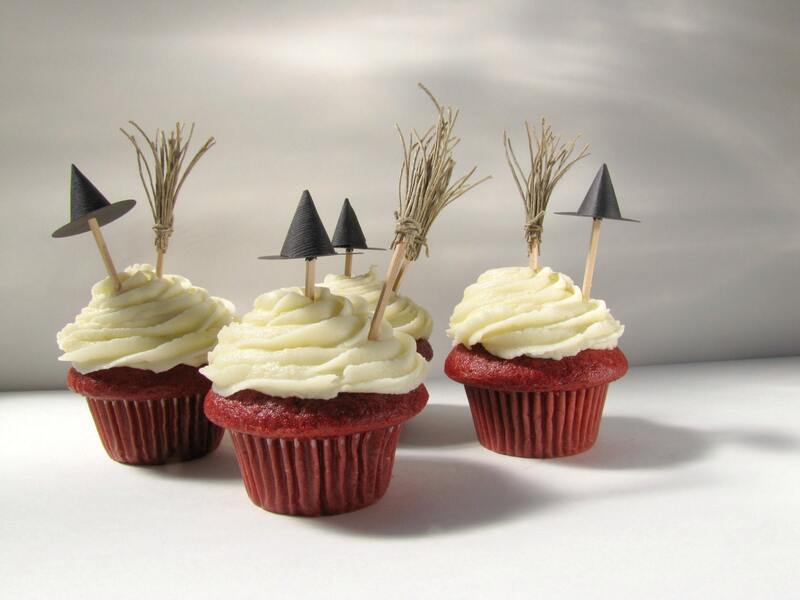 How awesome are those little cupcake brooms??? I don't even care how delicious the red velvet cupcake looks, I just want the toppers in my life. What's great is that the seller (Kiwi Tini Creations) is Canadian as well as clever. Guilt and duty free!! Check it out, it's a great shop!